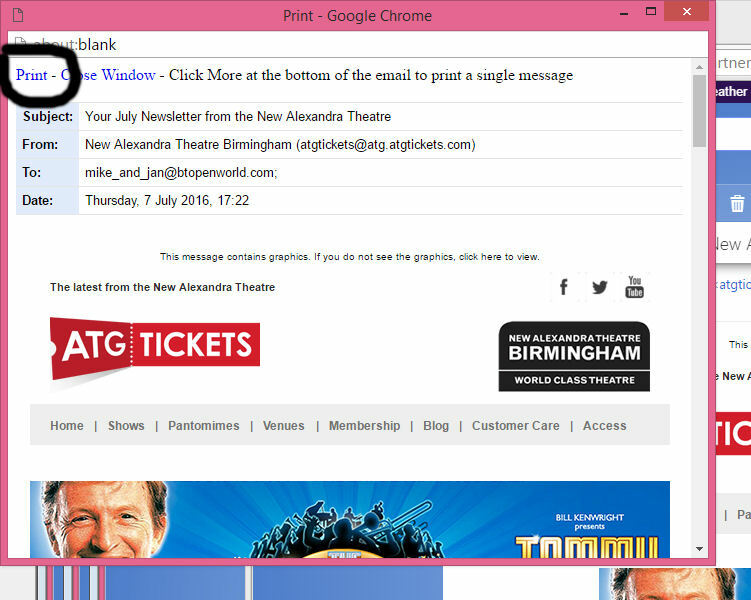 Modern email programs and webmail sites don't have a prominent "Print" button or icon. Left-click to open the email that you want to print. 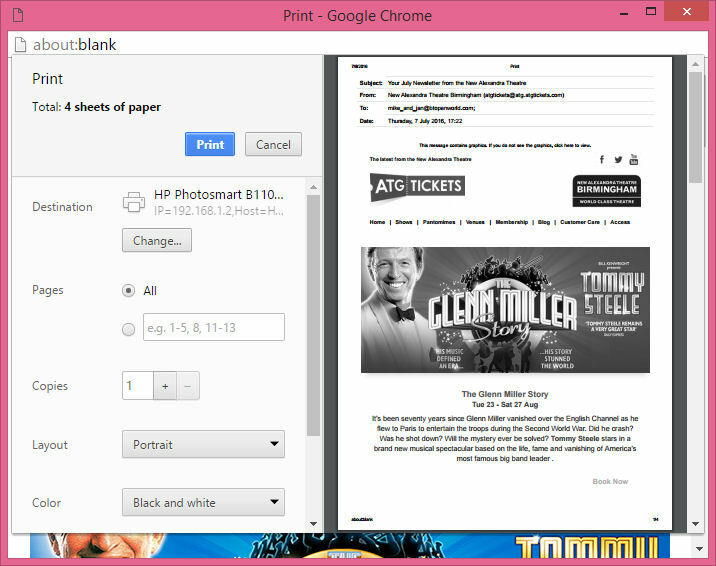 A Print window will open - left-click the word "Print"
and there are More settings if you want. 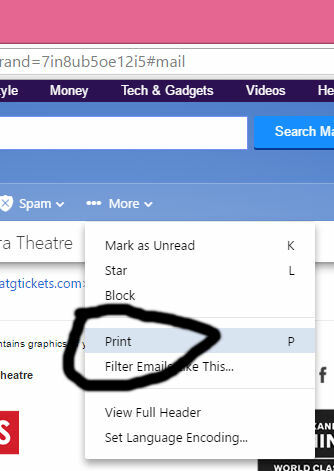 Finally left-click on the blue "Print" button and you should get exactly what you want (assuming that your printer is switched on, connected to your PC or Network, has sufficient ink, has paper loaded, is not jammed, etc! ).